It’s one of the biggest days of your life – falling in love and marrying that special someone you’re going to spend the rest of your life with. 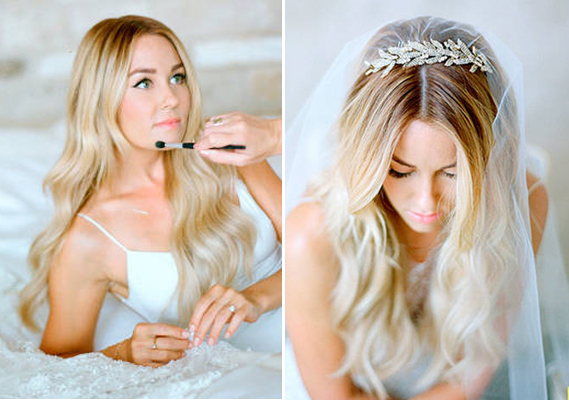 But as incredible as weddings are, they also come with a lot of stress and decision-making – one of which (that we think is the most important) is of course, your bridal HAIR! It’s always such a huge decision – upstyle, down, ponytail, loose curls, waves, sleek and sophisticated; you have to take into consideration the style of your dress, if you want an embellished hairpiece, will you wear a veil, do you want florals in your hair – there are endless options to consider, but the most important thing is that are absolutely in love with your wedding day look. We specialise in bridal at Aimee Egan Hair, and Aimee has created looks for hundreds of brides, bridesmaids, mothers of the bride and flower girls over the past 12 years. Aimee Egan Hair offers an exclusive in-salon experience for bridal parties, or Aimee and her qualified team can come to you, whether it be at your home, a hotel or on location.